International Record Review: outstanding; Klassik Heute: outstanding; Music Web International. Record of the Month July 2007. Grieg is mainly thought of as one of the great lyrical composers, but for a long time he struggled to develop a dramatic side to his music. One result was the three scenes from the projected opera Olav Trygvason, a collaboration with the poet Bjørnstjerne Bjørnson. Grieg and Bjørnson wanted to develop a national, Norwegian opera, avoiding the Wagnerian influences predominant at the time. Nevertheless, as the Olav Trygvason fragment shows and as Grieg himself admitted, Wagner's pull was too strong to be entirely resisted; perhaps understandably, given that the subject matter - the struggle of the old Norse Gods and their followers against the Christian faith - is rather Wagnerian in itself. Another Bjørnson collaboration, At the Cloister Gate, is also operatic in conception, but in a musical language more clearly Grieg's own. The disc continues with the Six Orchestral Songs, in which the composer is firmly back on familiar ground. 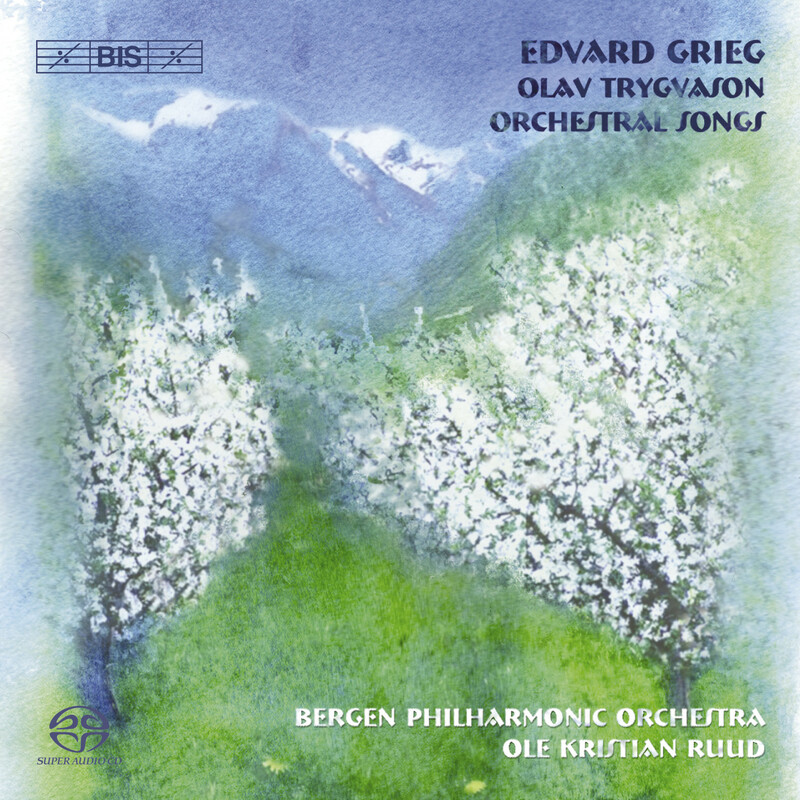 These were orchestrated by Grieg himself, not with the intent to form a cycle, but simply because he himself rated them highly: from Solveig's two intensely moving songs from Peer Gynt to Last Spring, sometimes regarded as one of Grieg’s finest songs.